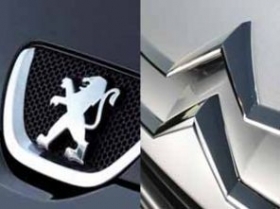 PARIS -- PSA/Peugeot-Citroen has asked workers at its Sevelnord plant in northern France to agree to a pay freeze, hundreds of job cuts and other concessions, or face possible closure, officials at two unions said. The company is opening talks on plans to reduce the threatened plant's 2,700-strong workforce, freeze salaries for at least three years, reduce leave and impose more flexible hours, CGT and CGC union representatives said. PSA declined to comment on plans for Sevelnord. Its ultimatum, if confirmed, echoes tactics successfully employed to win concessions from workers at Fiat's Pomigliano factory near Naples, Italy, and General Motors' Vauxhall plant in Ellesmere Port, north-west England. "This amounts to industrial blackmail," said Ludovic Bouvier of the CGT, PSA's biggest union. "They want us to set an example that workers in the rest of the group's factories will eventually have to follow." PSA, which is heavily exposed to European markets suffering under the region's debt crisis, is trying to make big savings through a number of measures, which include an overall target of 6,000 European job cuts for 2012 - to be achieved without compulsory lay-offs - announced last September by CEO Philippe Varin. Net debt at the carmaker jumped to 3.4 billion euros at the end of 2011. To combat this, the company has embarked on a range of money-raising efforts in 2012 that include the sale of its 48-year-old headquarters building and the issue of 1 billion euros in shares at a 42 percent discount. PSA also agreed to a partnership with General Motors Co. aimed at reducing purchasing costs and development spending in an effort to revitalize European operations. As part of the deal, GM bought 7 percent of the French carmaker. Overcapacity is also a problem at PSA. The automaker said its European capacity utilization rate dropped to 83 percent in the first quarter. Its full-year capacity utilization rate will be about 75 percent, according to IHS Automotive estimates. PSA managers outlined their demands on May 25, ahead of formal negotiations to begin on Friday, said Bouvier and Pascal Lucas, his counterpart with the smaller CGC. Without the concessions from Sevelnord workers, the next generation of the plant's Peugeot Expert and Citroen Jumpy delivery vans would be produced in Vigo, north-west Spain, both union officials said they were told. PSA also produces the Peugeot 807 and Citroen C8 large minivans at the factory. Besides the salary freeze, the automaker's plans would lead to "several hundred" job cuts, both union officials said. It would also give managers more leeway to impose overtime or the use of vacation days at short notice, in step with production demands, they added. The plant, shared with Fiat, has already come under closure fears as the Italian automaker prepares to withdraw production of its Scudo van from the joint venture. PSA is in talks with Fiat to unwind the venture before its expiry in 2017, and has said it is seeking a new partner there. Even with a replacement for Fiat, "we would still need to ensure that Sevelnord is competitive by comparison to alternative sites," company spokesman Pierre-Olivier Salmon said on Wednesday. In the first four months, PSA sold 540,102 cars in the EU and EFTA countries, down 13.5 percent from the same period a year before, according data from industry association ACEA.